The Golden Globe for New Star of the Year – Actress was an award given by the Hollywood Foreign Press Association at their annual Golden Globe Awards. The award was first introduced at the 6th Golden Globe Awards in 1948 where it was given to actress Lois Maxwell for her performance in the 1947 film That Hagen Girl. 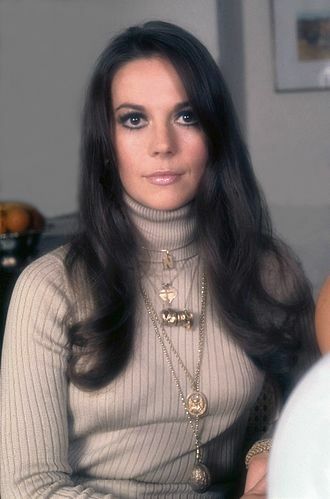 It was awarded as the Golden Globe Award for Most Promising Newcomer – Female until 1975. There were no awards in 1949, and between 1954 and 1965 there were multiple winners. From 1976 to 1979, the award was called Best Acting Debut in a Motion Picture – Female. From 1980 to 1983, the award was called New Star of the Year in a Motion Picture – Female. A male actor did not receive the Award in 1982. The final recipient of the award was actress Sandahl Bergman for her performance in the 1982 film Conan the Barbarian. 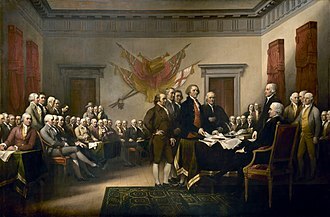 The category was discontinued following the 1983 ceremony. ^ a b "Winners & Nominees 1948". The Golden Globes. Hollywood Foreign Press Association. Retrieved February 2, 2018. ^ a b "Winners & Nominees 1983". The Golden Globes. Hollywood Foreign Press Association. Retrieved February 2, 2018. ^ a b c d "Winners & Nominees New Star of the Year – Actor". The Golden Globes. Hollywood Foreign Press Association. Retrieved February 2, 2018. ^ "Winners & Nominees 1950". The Golden Globes. Hollywood Foreign Press Association. Retrieved February 2, 2018. ^ "Winners & Nominees 1952". The Golden Globes. Hollywood Foreign Press Association. Retrieved February 2, 2018. ^ "Winners & Nominees 1953". The Golden Globes. Hollywood Foreign Press Association. Retrieved February 2, 2018. ^ "Winners & Nominees 1954". The Golden Globes. Hollywood Foreign Press Association. Retrieved February 2, 2018. ^ "Winners & Nominees 1955". The Golden Globes. Hollywood Foreign Press Association. Retrieved February 2, 2018. ^ "Winners & Nominees 1956". The Golden Globes. Hollywood Foreign Press Association. Retrieved February 2, 2018. ^ "Winners & Nominees 1957". The Golden Globes. Hollywood Foreign Press Association. Retrieved February 2, 2018. ^ "Winners & Nominees 1958". The Golden Globes. Hollywood Foreign Press Association. Retrieved February 2, 2018. ^ "Winners & Nominees 1959". The Golden Globes. Hollywood Foreign Press Association. Retrieved February 2, 2018. ^ "Winners & Nominees 1960". The Golden Globes. Hollywood Foreign Press Association. Retrieved February 2, 2018. ^ "Winners & Nominees 1961". The Golden Globes. Hollywood Foreign Press Association. Retrieved February 2, 2018. ^ "Winners & Nominees 1962". The Golden Globes. Hollywood Foreign Press Association. Retrieved February 2, 2018. ^ "Winners & Nominees 1963". The Golden Globes. Hollywood Foreign Press Association. Retrieved February 2, 2018. ^ "Winners & Nominees 1964". The Golden Globes. Hollywood Foreign Press Association. Retrieved February 2, 2018. ^ "Winners & Nominees 1965". The Golden Globes. Hollywood Foreign Press Association. Retrieved February 2, 2018. ^ "Winners & Nominees 1966". The Golden Globes. Hollywood Foreign Press Association. Retrieved February 2, 2018. ^ "Winners & Nominees 1967". The Golden Globes. Hollywood Foreign Press Association. Retrieved February 2, 2018. ^ "Winners & Nominees 1968". The Golden Globes. Hollywood Foreign Press Association. Retrieved February 2, 2018. ^ "Winners & Nominees 1969". The Golden Globes. Hollywood Foreign Press Association. Retrieved February 2, 2018. ^ "Winners & Nominees 1970". The Golden Globes. Hollywood Foreign Press Association. Retrieved February 2, 2018. ^ "Winners & Nominees 1971". The Golden Globes. Hollywood Foreign Press Association. Retrieved February 2, 2018. ^ "Winners & Nominees 1972". The Golden Globes. Hollywood Foreign Press Association. Retrieved February 2, 2018. ^ "Winners & Nominees 1973". The Golden Globes. Hollywood Foreign Press Association. Retrieved February 2, 2018. ^ "Winners & Nominees 1974". The Golden Globes. Hollywood Foreign Press Association. Retrieved February 2, 2018. ^ "Winners & Nominees 1975". The Golden Globes. Hollywood Foreign Press Association. Retrieved February 2, 2018. ^ "Winners & Nominees 1976". The Golden Globes. Hollywood Foreign Press Association. Retrieved February 2, 2018. ^ "Winners & Nominees 1977". The Golden Globes. Hollywood Foreign Press Association. Retrieved February 2, 2018. ^ "Winners & Nominees 1979". The Golden Globes. Hollywood Foreign Press Association. Retrieved February 2, 2018. ^ "Winners & Nominees 1980". The Golden Globes. Hollywood Foreign Press Association. Retrieved February 2, 2018. ^ "Winners & Nominees 1981". The Golden Globes. Hollywood Foreign Press Association. Retrieved February 2, 2018. Patricia Pat Crowley is an American actress. Crowley was born in Olyphant, the daughter of Helen and her sister Ann was an actress. Crowley played Sally Carver in the film Forever Female, starring Ginger Rogers and she starred as Doctor Autumn Claypool alongside Martin and Lewis in Money from Home, and in their final film together Hollywood or Bust, in which she played Terry Roberts. Her roles in Forever Female and Money from Home led to her receiving the Golden Globe Award for New Star of the Year - Actress. She co-starred with Rosemary Clooney in a 1954 musical, Red Garters, The Twilight Zone, The Fugitive, The Man from U. N. C. L. E. 87th Precinct, and Wanted, Dead or Alive and she changed her billing for various Maverick episodes from Patricia Crowley to Pat Crowley and back again. 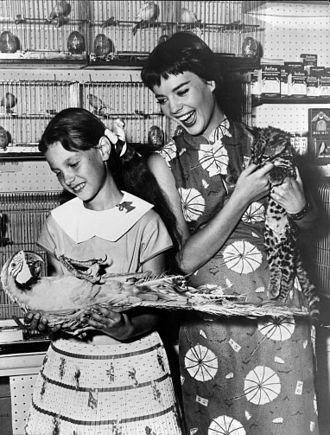 She starred from 1965 to 1967 as Joan Nash in the NBC-MGM television sitcom Please Dont Eat the Daisies, based on the 1957 book by Jean Kerr, Crowley sang and danced on The Dean Martin Show. She became known to an era of television viewers for her roles on the serials Generations from 1989–90, Port Charles from 1997 to 2003, and The Bold. Carlotta Mercedes Agnes McCambridge was an American actress of radio, stage and television. Orson Welles called her the worlds greatest living radio actress and she won an Academy Award for Best Supporting Actress for All the Kings Men and was nominated in the same category for Giant. She provided the voice of The Demon in The Exorcist, McCambridge was born in Joliet, the daughter of Irish American Roman Catholic parents Marie and John Patrick McCambridge, a farmer. She graduated from Mundelein College in Chicago before embarking on a career and she began her career as a radio actor during the 1930s while performing on Broadway and continued through the 40s and 50s. In 1941, she played Judys girl friend in A Date with Judy and she had the title role in Defense Attorney, a crime drama broadcast on ABC in 1951-52. She starred in her own show, Defense Attorney on ABC 1951–52, from June 22,1953, to March 5,1954, McCambridge starred in the soap opera Family Skeleton on CBS. 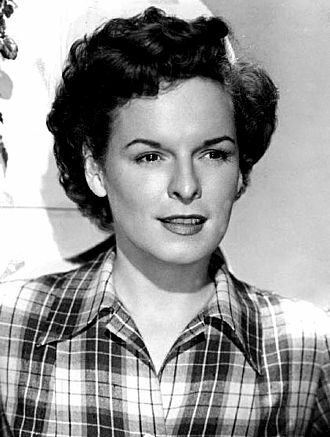 She played Katherine Wells in Wire Service - an American drama series aired on ABC from 1956-7, the series starred Mercedes McCambridge, George Brent and Dane Clark as reporters for the fictional Trans Globe wire service. Her Hollywood break came when she was cast opposite Broderick Crawford in All the Kings Men, McCambridge won the 1949 Academy Award for Best Supporting Actress for her role, while the film won Best Picture for that year. McCambridge won the Golden Globe Awards for Best Supporting Actress, in 1954, the actress co-starred with Joan Crawford and Sterling Hayden in the offbeat western drama, Johnny Guitar, now regarded as a cult classic. McCambridge and Hayden publicly declared their dislike of Crawford, with McCambridge labeling the films star a mean, powerful, McCambridge played the supporting role of Luz in the George Stevens classic Giant, which starred Elizabeth Taylor, Rock Hudson, and James Dean. 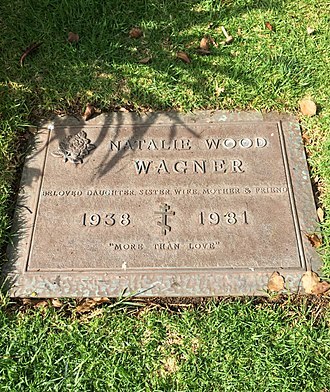 She was nominated for another Academy Award as Best Supporting Actress, in 1959, McCambridge appeared opposite Katharine Hepburn, Montgomery Clift and Elizabeth Taylor in Joseph L. Mankiewicz film adaptation of Tennessee Williams Suddenly, Last Summer. McCambridge provided the voice of Pazuzu, the demon possessing the young girl Regan in The Exorcist. That Hagen Girl is a 1947 American drama film directed by Peter Godfrey. The screenplay by Charles Hoffman was based on the novel by Edith Kneipple Roberts, the film focuses on small town teenage girl Mary Hagen who gossips believe is the illegitimate daughter of former resident and lawyer Tom Bates. Lois Maxwell received a Golden Globe award for her performance, Mary Hagen is believed by town gossips to be the illegitimate daughter of Tom Bates, a former resident and lawyer. Bates moves back into town and begins a friendship with Hagens favorite teacher Julia Kane, there are hints that Bates is the real father of Hagen, though it is revealed that she was an orphan adopted by the Hagens. When the teacher leaves town, she suggests to Bates that he stop playing Hagens father, the movie ends with Bates and Hagen boarding a train, presumably to get married. Merrivale Nella Walker as Molly Freneau Winifred Harris as Selma Delaney Moroni Olsen as Trenton Gateley Frank Conroy as Dr, the film resurfaced in the 1990s with showings on Turner Classic Movies. Forever Female is a 1953 film directed by Irving Rapper. It stars Ginger Rogers and William Holden and it won a Golden Globe in 1954. The reviews are in and a new play starring Beatrice Page, long divorced but still a team, they need a new project and meet playwright Stanley Krown, who has written one in which the lead roles are a mother and a 19-year-old daughter. Beatrice wants to play the daughter and she cant pass for 19 but believes she can for 29, so wants the play rewritten. She displays a romantic interest in Stanley, a young actress first calling herself Sally Carver and Peggy Pruitt wants an audition. Stanley has her do some typing on his rewrite, and a jealous Beatrice finds her a job out of town. Stanleys play previews in Washington, D. C. and flops, now calling herself Claudia Souvain, tries to persuade Stanley that the actress is too old for the role. Seeing the play in a town with Sally in the lead, now under her real name of Clara Mootz. Beatrice finally concedes that its time for her to act her age and she agrees to take the mothers part, and on Broadway the play is a huge success. Rebel Without a Cause is a 1955 American drama film about emotionally confused suburban, middle-class teenagers filmed in CinemaScope. Directed by Nicholas Ray, it offered both social commentary and an alternative to previous films depicting delinquents in urban slum environments, the film stars James Dean, Sal Mineo and Natalie Wood. The film was an attempt to portray the moral decay of American youth, critique parental style. The title was adopted from psychiatrist Robert M. Lindners 1944 book, Rebel Without a Cause, the film itself, does not reference Lindners book in any way. Warner Bros. released the film on October 27,1955 and this was the only film during Deans lifetime in which he received top billing. In 1990, Rebel Without a Cause was added to Library of Congresss National Film Registry as being deemed culturally, behind the opening credits, the film opens on a suburban Los Angeles street with teenager Jim Stark drunkenly lying down on a sidewalk. He is arrested and taken to the division of the police station for plain drunkenness. At the station he meets John Plato Crawford, who was brought in for shooting a litter of puppies with his mothers gun, and Judy and his frustrations are made manifest to officer Ray Fremick when Jim is released to their custody. Plato comes from a broken family and his father abandoned them when he was a toddler, and his mother is often away from home, leaving Plato in the care of his housekeeper. Jim sets out for his first day at Dawson High School and again meets Judy waiting on the corner and offers her a ride. Seemingly unimpressed by Jim at first, she declines and sarcastically says, You know, I bet youre a real yo-yo, and is picked up by her friends, arriving at school, Jim immediately gets in hot water for unknowingly stepping on the school insignia. While shunned by most of the student body, Jim befriends Plato, as he walks out and his gang slash one of Jims tires and begin taunting him by clucking and calling him chicken, which is sure to set him off. When Jim asks Judy, revealed to be the property of Buzz, why she hangs around with them, Buzz pushes Jim away from her, out a switchblade. The Eddy Duchin Story is a 1956 Technicolor film biopic of band leader and pianist Eddy Duchin. It was directed by George Sidney, written by Samuel A. Taylor, Harry Stradling Sr. received an Academy Award nomination for his cinematography in the CinemaScope film. 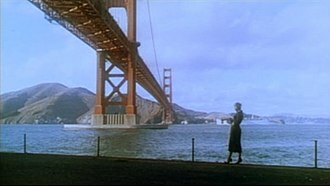 The film received four nominations in total and was one of the films of 1956. Incorporating signature elements of Duchins style into his own original style, soundtrack recordings, In 1956 and 1957 respectively, two musical soundtrack recordings, that is, studio recordings of songs from the film, were issued. Twelve of the songs were released in The Sound Track Album, The Eddy Duchin Story. This recording was issued by Decca in 1956 as DL8289, in 1957, Capitol Records issued an LP album entitled, Selections from The Eddy Duchin Story, featuring nine of the original albums twelve soundtracks. Accompanied by the Harry Geller Orchestra, pianists George Greeley and Harry Sukman performed the selections, somewhat ironically, both pianists imitated Cavallaro’s beloved interpretations of the songs rather than Duchin’s. Given the extraordinary success of the original soundtrack, it is no wonder. Some of the box office success can be attributed to the appearance of Novak in ads for No-Cal diet soda. Novak became one of the first celebrities to be featured in advertisements for soft drinks, fresh out of pharmacy school, young Eddy Duchin travels to New York in the 1920s to take a job playing piano for bandleader Leo Reismans orchestra. But upon arrival, Eddy learns there is no such job, a wealthy socialite, Marjorie Oelrichs, overhears his playing and takes a personal interest in Eddy. When he is invited to the home of her aunt and uncle. Having fallen in love, Marjorie goes so far as to marriage to Eddy rather than the other way around. She has secret fears that she expresses on their wedding night, an anguished Eddy abandons his baby boy, leaving him in the Wadsworths care, and goes away from New York for many years. He serves on a warship in the war, finally persuaded to visit his son, he meets Peters governess, a British woman named Chiquita, who grows on him after an uneasy start. Shirley MacLaine is an American film and theater actress, dancer and author. She is known for her New Age beliefs, and has an interest in spirituality and she has written a series of autobiographical works that describe these beliefs, document her world travels, and describe her Hollywood career. She has won five competitive Golden Globe Awards and received the Golden Globe Cecil B, deMille Award at the 1998 ceremony. Named after Shirley Temple, Shirley MacLean Beaty was born in Richmond, MacLaines younger brother is the actor and director Warren Beatty, he changed the spelling of his surname when he became an actor. Their parents raised them as Baptists and her uncle was A. A. MacLeod, a Communist member of the Ontario legislature in the 1940s. MacLaine played baseball in a team, holding the record for most home runs which earned her the nickname Powerhouse. During the 1950s, the family resided in the Dominion Hills section of Arlington. As a toddler she had weak ankles and would fall over with the slightest misstep and this was the beginning of her interest in performing. Strongly motivated by ballet, she never missed a class, in classical romantic pieces like Romeo and Juliet and The Sleeping Beauty, she always played the boys roles due to being the tallest in the group and the absence of males in the class. Ultimately she decided against making a career of professional ballet because she had grown too tall and was unable to acquire perfect technique and she explained that she didnt have the ideal body type, lacking the requisite beautifully constructed feet of high arches, high insteps and a flexible ankle. Also slowly realizing ballets propensity to be too all-consuming, and ultimately limiting, she moved on to forms of dancing, acting. She attended Washington-Lee High School, where she was on the cheerleading squad, the summer before her senior year, she went to New York City to try acting on Broadway, and had some success. 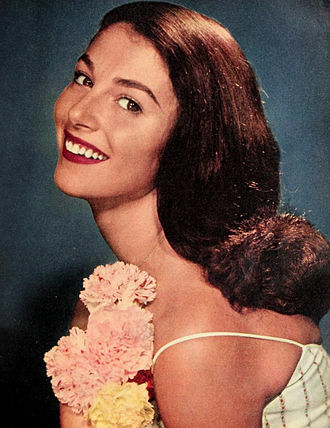 After she graduated, she returned and within a year became an understudy to actress Carol Haney in The Pajama Game, Haney broke her ankle, a few months after, with Haney still injured, film producer Hal B.
Dana Wynter was a German-born English actress, who was raised in England and Southern Africa. She appeared in film and television for more than forty years beginning in the 1950s, Wynter was born as Dagmar Winter in Berlin, the daughter of Dr. Peter Wynter, a British surgeon, and his wife, Jutta, a native of Hungary. When she was sixteen years old her father went to Morocco to operate on a woman who would not allow anyone else to attend her and he visited friends in Southern Rhodesia, fell in love with it and brought his daughter and her stepmother to live with him there. 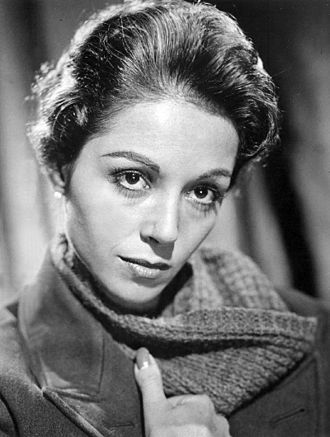 Dana Wynter enrolled at South Africas Rhodes University and dabbled in theatre, playing the girl in a school production of Through a Glass Darkly. After more than a year of studies, she returned to England, dropped her medical studies, Wynter began her cinema career at 21 in 1951, playing small roles, often uncredited, in British films. One such was Lady Godiva Rides Again in which other leading ladies, Kay Kendall, Diana Dors. She was appearing in the play Hammersmith when an American agent told her he wanted to represent her and she was again uncredited when she played Morgan Le Fays servant in the MGM film Knights of the Round Table. Wynter left for New York on 5 November 1953, Guy Fawkes Day, there were all sorts of fireworks going off, she told an interviewer, and I couldnt help thinking it was a fitting send-off for my departure to the New World. 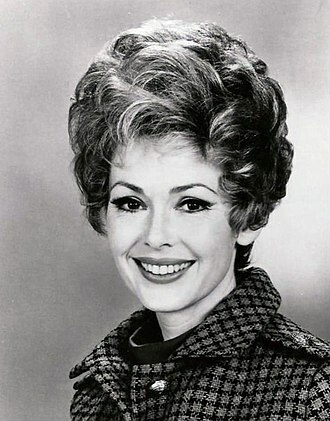 Wynter had more success in New York than in London and she appeared on the stage and on TV, where she had leading roles in Robert Montgomery Presents, Studio One, and a 1965 episode of The Alfred Hitchcock Hour. She relocated to Hollywood where, in 1955, she was placed under contract by 20th Century Fox, in that same year, she won the Golden Globe award for Most Promising Newcomer, a title she shared with Anita Ekberg and Victoria Shaw. She graduated to playing roles in major films. She co-starred with Kevin McCarthy, Larry Gates, and Carolyn Jones and she starred opposite Danny Kaye in On the Double, and George C.
The Egyptian is an American 1954 epic drama film made by 20th Century Fox. Filmed in CinemaScope with color by DeLuxe, it was directed by Michael Curtiz and it is based on Mika Waltaris novel of the same name and the screenplay was adapted by Philip Dunne and Casey Robinson. Leading roles were played by Edmund Purdom, Bella Darvi, Jean Simmons, Victor Mature, Gene Tierney, Peter Ustinov, cinematographer Leon Shamroy was nominated for an Academy Award in 1955. The Egyptian tells the story of Sinuhe, a physician in 18th dynasty Egypt who is thrown by chance into contact with the pharaoh Akhnaton. He rises to and falls from great prosperity, wanders the world and his companions throughout are his lover, a shy tavern maid named Merit, and his corrupt but likable servant, Kaptah. While out lion hunting with his sturdy friend Horemheb, Sinuhe discovers Egypts newly ascendant pharaoh Akhnaton, while praying, the ruler is stricken with an epileptic seizure, with which Sinuhe is able to help him. The grateful Akhnaton makes his savior court physician and gives Horemheb a post in the Royal Guard and his new eminence gives Sinuhe an inside look at Akhnatons reign, which is made extraordinary by the rulers devotion to a new religion that he feels has been divinely revealed to him. This faith rejects Egypts traditional gods in favor of worship of the sun. Akhnaton intends to promote Atenism throughout Egypt, which earns him the hatred of the countrys corrupt and politically active traditional priesthood. 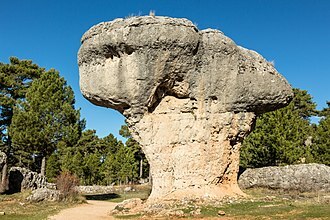 Life in court does not prove to be good for Sinuhe and he squanders all of his and his parents property in order to buy her gifts, only to have her reject him nonetheless. Returning dejectedly home, Sinuhe learns that his parents have committed suicide over his shameful behavior and he has their bodies embalmed so that they can pass on to the afterlife, having no way to pay for the service, works off his debts in the embalming house. Lacking a tomb in which to put his parents mummies, Sinuhe buries them in the sand amid the lavish funerary complexes of the Valley of the Kings. Merit urges Sinuhe to flee Egypt and rebuild his career elsewhere, for the next ten years Sinuhe and Kaptah wander the known world, where Sinuhes superior Egyptian medical training gives him an excellent reputation as healer. The Trouble with Harry is a 1955 American black comedy film directed by Alfred Hitchcock. The screenplay by John Michael Hayes was based on the 1949 novel by Jack Trevor Story and it starred Edmund Gwenn and John Forsythe, Jerry Mathers and Shirley MacLaine, in her first film role. The Trouble with Harry was released in the United States on October 3,1955, the action in The Trouble with Harry takes place during a sun-filled autumn in the Vermont countryside. The fall foliage and the scenery around the village, as well as Bernard Herrmanns light-filled score. The story is about how the residents of a small Vermont village react when the body of a man named Harry is found on a hillside. The film is, not really a murder mystery, it is essentially a comedy with thriller overtones. Four village residents end up working together to solve the problem of what to do with Harry, in the process the younger two fall in love and become a couple, soon to be married. The older two residents fall in love, the quirky but down-to-earth residents of the small hamlet of Highwater, are faced with the freshly dead body of Harry Worp, which has inconveniently appeared on the hillside above the town. The problem of who the person is, who was responsible for his sudden death, Captain Wiles is sure that he killed the man with a stray shot from his rifle while hunting, until it is shown he actually shot a rabbit. Jennifer Rogers, Harrys estranged wife, believes she killed Harry because she hit him hard with a milk bottle, Miss Gravely is certain that the man died after a blow from the heel of her hiking boot when he lunged at her out of the bushes. Sam Marlowe, an attractive and nonconformist artist, is open-minded about the whole event, in any case, no one is upset at all about Harrys death. However, they all are hoping that the body will not come to the attention of the authorities in the form of cold, humorless Deputy Sheriff Calvin Wiggs, who earns his living per arrest. The Captain, Miss Gravely and Sam bury the body and they hide the body in a bathtub before finally putting it back on the hill where it first appeared, in order to make it appear as if it was just discovered. Finally it is learned that Harry died of causes, no foul play at all was involved. Initially a producer, John Wayne was cast in the film after Spencer Tracy dropped out. 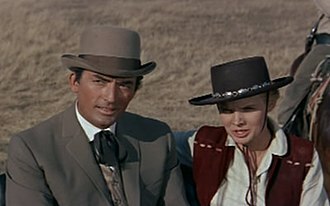 Baker with Gregory Peck in The Big Country (1958). Olympic discus thrower Fortune Gordien and Jean Simmons on set. The title shot in the film trailer shows the discovery of Harry by Arnie (Jerry Mathers). Jim Stark is in police custody. 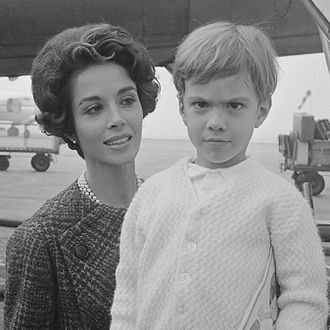 Jim confronts his father while his mother watches. Pat Crowley with Elliott Reid in 1959.